I am not a reader. I used to be. When I was a kid, there was always a book in my face. My favorite days were the weekly trip to the library. Every member of my family had a library card, and even then we normally came pretty close to exceeding the number of books you were allowed to check out. One of my resolutions was to read more this year. I would like to start working towards getting my MBA, and so I really want to start reading “business” books, so that I know what I’m talking about when I go into a classroom full of accountants and business people. I run a cafe. What do I know about these things? So I bought my first book on New Years Day. I went to Half Price books with an open mind and I’ll be honest, I was kind of excited. I kind of reverted back to the kid in the library. I bought a book called “Leading the Starbucks Way”. It’s about how Starbucks has a completely different mindset than most companies and that is why it is such a huge success. In all honesty, I noticed the book because of the Starbucks logo on it and I love the company, especially after working for them a couple years ago. So far though, it’s been a fantastic read! I’ll write about it when I finish, but the author is very engaging and he poses relevant questions for any business owner or manager, regardless of what they produce. A couple days later, a friend of mine posted this challenge on Facebook. It’s called the Empty Bookshelf Challenge. You start with an empty bookshelf in January and when you finish a book, you put it on the shelf. At the end of every month, you post a picture of your shelf into the Facebook group she set up and tell the other people about what you’ve been reading. This was perfect for me. I need the accountability. I always start books. My problem is finishing them. But this is incentive! I have to tell people what I’ve been reading and show them my finished books! So here’s to the Empty Bookshelf challenge and actually finishing what I start. I’ve chosen some books to get me started in various categories from business to fiction and everything in between. As I finish books, I will post reviews here, just to have even more accountability. 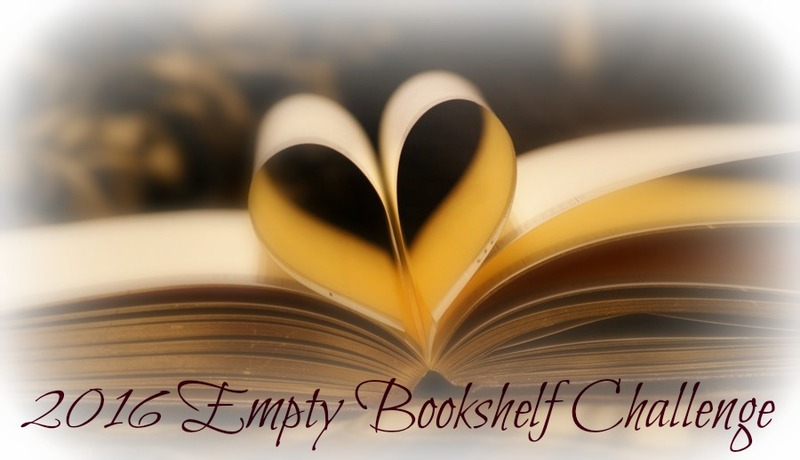 And if you are interested in joining the Empty Bookshelf Challenge with me, let me know! For all my avid readers out there, what books do you recommend? Here’s a link to my Pinterest Board that has some of the books I want to read this year. What else should I read in 2016?